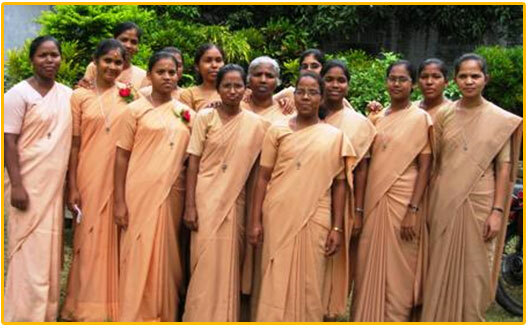 You too are welcome to form part of this group of consecrated women belonging to the Congregation of Sisters Adorers. You too, like us, are welcome to adore the Eucharistic Lord every day in spirit and in truth. You too, like us, are welcome to collaborate in the Liberating project initiated by Jesus and embodied, in a particular manner, by Maria Micaela in her time, and continued to this day by the Congregation she founded. You too are welcome to become part of this project, that wants and commits itself to help the downtrodden, especially women who are victims of prostitution or other enslaving situations, so that they “who are the least in society but first in the Kingdom” can experience human warmth, solidarity, love and liberation..
You too, like St Maria Micaela, are welcome to respond to God’s call and become consecrated women at the service of exploited women/girls and like the Sisters Adorers choose to live “only for God and these girls “. 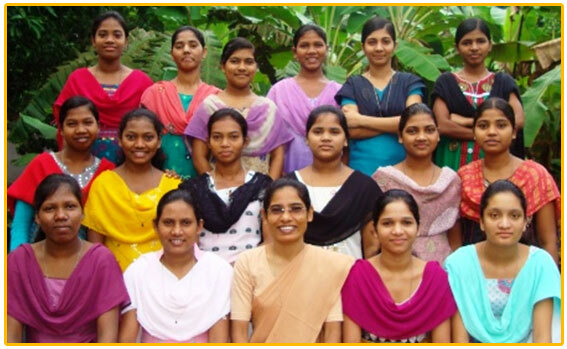 Since 158 years, we – Sisters Adorers – live this challenging mission. Would you like to join us to continue opening paths of liberation in our world? Vocation is an invitation from the Lord. It enables the enthusiastic youth to come forward, leaving behind one’s home and family environment, land and language, culture and customs to respond to the divine invitation. It is a process of, ‘transformation’ growing into the likeness of Jesus and an on-going dynamic process. 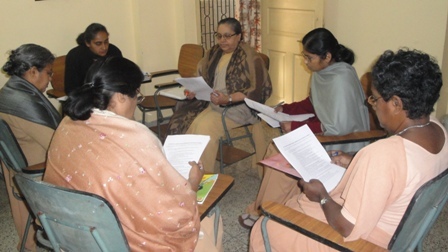 Formation in the Congregation of Sisters Adorers is carried out in three Stages: Pre-novitiate, Novitiate and Juniorate, preceded by a stage of Mutual Knowledge/Come and See. 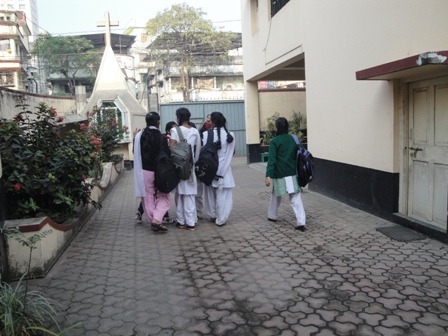 Once a young girl shows a genuine interest in our way of life, she is invited to stay with us for a period of one year or more, to facilitate a better discernment in her vocational option to the Congregation of Sisters Adorers. This period also enables her to acquire human and Christian formation, with opportunities for greater familiarity with the Charism of the Congregation. This period of time is referred as the stage of “Mutual Knowledge/Come and See”. 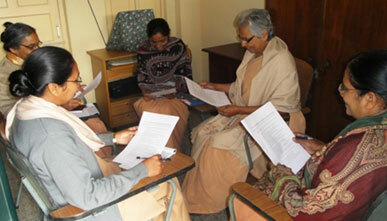 Congregation and clarify her motivations. The Congregation accompanies her in this path so that she can accomplish in a gradual but decisive manner the option to follow Christ as a Sister Adorer, verifying whether she posses the aptitudes for religious life and her vocation to the Congregation of Sisters Adorers. 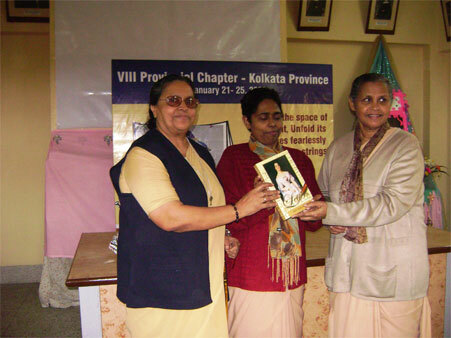 This period of time is referred to as “Pre-Novitiate”. The novitiate is the fundamental stage of formation in which the novice goes through a process of greater discernment in her vocational option. She continues to discover the demands of following Jesus Christ; acquires an initiation into understanding and experiential knowledge of the Vows; and assimilates progressively the richness contained in the identity of an Adorer. This stage of formation is carried out preferably in inter-provincial novitiates so that the novices experience the unity of the Charism in diversity and strengthen their sense of belonging to the whole Congregation. In the second year, the Novices are sent for a first-hand apostolic experience in our communities, in order to have an encounter with the realities and struggles of the poor, exploited and marginalized. The duration of the Novitiate is two years. assume new commitments and responsibilities. 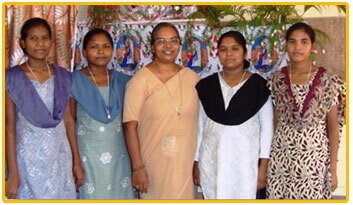 She carries out theological and professional studies that will prepare her for the mission. “Formation is ongoing by nature. The aim of this stage is to enable all the sisters at the different stages of life to participate in a constant up-dating and deepening in the richness and values of consecrated life. Each Adorer is responsible and we are craftswomen of our own process of growth and openness to the Plan of God. In our personal and community projects we indicate options, contents, time and concrete forms of carrying them out. The governments at different levels, as agents of the formative process, encourage and dynamise the General Plan of Formation in the Congregation. 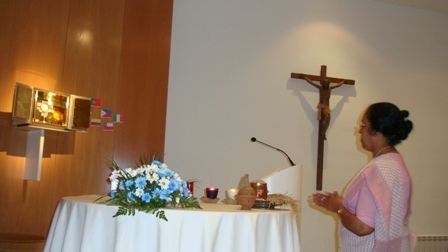 They promote studies on St Maria Micaela and the History of the Congregation and encourage updating in our specific spirituality and mission. 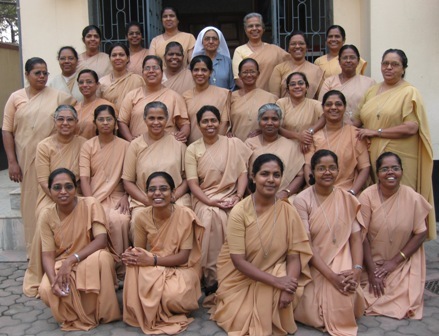 They also foster the cultural, professional and technical formation of the sisters, according to the requirements of the mission and the Province.